Thanks to the efforts of La-La Land records, one of James Horner’s most addictively enjoyable scores gets another deluxe treatment. 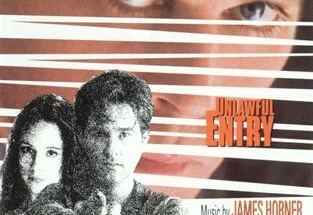 Not that there was a lot to complain about: Varese Sarabande had released the near entirety of the score in 2001, a bewildering 14 years after the movie’s release, and although that limited edition album did not sell out overnight, it eventually did and in the intervening years has become a much coveted collector’s item. Now, eighteen years after Varese’s edition, La-La Land makes this masterful score available to a new generation of Horner fans. The new edition is even more complete, although fans who have the original album might want take into account that the expansion is only by about three and a half minutes, and while certainly worthwhile, the cues are an extension of the existing material and add nothing in the way of new thematic content. 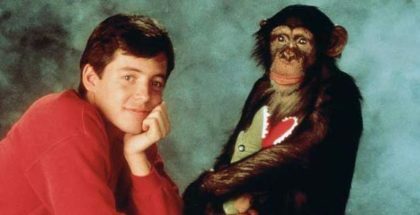 Losing Virgil on the Varese album culled together two cues: the scene where Teri hears her research fund has dried up and Virgil is to be relocated to a children’s zoo in Houston (Losing Virgil), after which the monkey is transported to Lockridge air base instead. 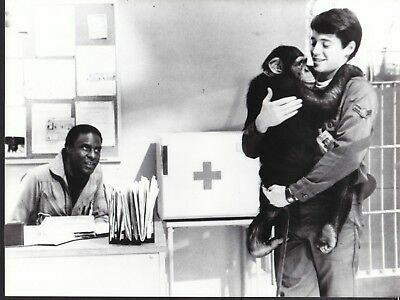 The second cue plays after Jimmy Garret has arrived at the base and is introduced to the monkeys in the Simulator Room. On the La-La land album, both cues are separated (as in the movie) but Simulator Room is an edit: it starts with the thirty unreleased seconds of music that play while Jimmy arrives at Lockridge air force base, about one and a half minute before being introduced to the simians. The second unreleased cue is The Phone Call And Top Brass, again a suite of two cues, but more on that later. On a technical level, the La La Land release is an improvement over the Varese CD Club release. Whereas the Varese album carefully applied crossfading to give the score an uninterrupted flow to its program, the La-La Land release is truer to the original cues as written, so each cue has a clear beginning and ending as originally intended. The score displays a wide variety of percussion, airy woodwinds and Fairlight synths, and every minute detail shines through. This is a very dense mix of elements with a more natural dynamic range than the prior release, preserving Shawn Murphy's stellar analog recording with precision. All in all, the added material is merely a bonus to the marked improvement in presentation and a welcome reissue to allow for a new generation to discover this score. The artwork too is up to La-La Land’s customarily high standards and Jeff Bond’s liner notes are informative and insightful. Since he does an excellent job offering a cue-by-cue analysis, we will not attempt to duplicate this effort here. Rather, we would like to present some notes on the score that do not feature in the booklet. 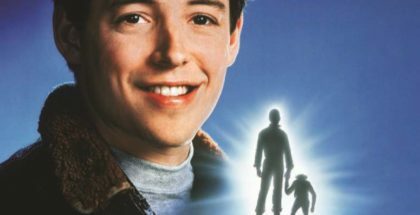 It’s interesting to see just how Project X fits into the evolution of James Horner’s music, and especially how the filmmakers go about giving the monkeys a voice and an inner life. If you want to read more about selected highlights of the score, you can find a detailed analysis of the cues Bluebeard’s Flight, Ghost Call and Flying here. I imagine the pilot James Horner embraced the project warmly when it came his way, and even for people not enamored with the notion of flight, there’s a lot to like in the story about a group of simians who are unwittingly used by the military in top-secret lethal radiation tests. 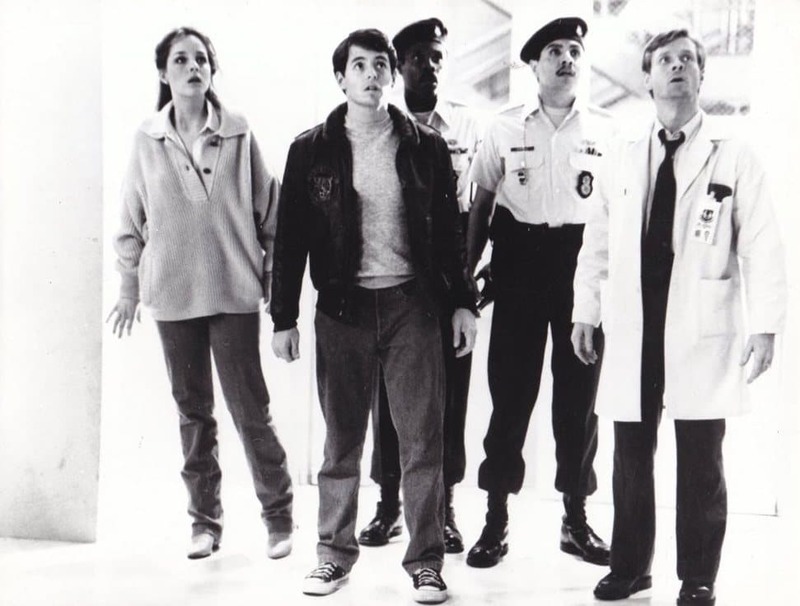 Their eventual escape is spearheaded by Virgil, the brightest of the lot, Jimmy Garrett, a pilot prone to playing fast and loose, and Teri MacDonald, the young researcher who first taught Virgil sign language. At the height of the action, the monkeys hide in a small plane on the runway, and in a piece of irresistible feel-good cinema, Virgil takes the controls and flies the beleaguered monkeys to freedom. The laughably improbable finale could have sunk the often sensitive and disturbing movie, but this particular bomb was expertly defused by James Horner’s choice to suffuse the proceedings with the golden glow of downright magical music. As a result, the finale plays like it was conceived for a fairy tale. It’s a daring move, and Horner would pull it off again during the opening of The Rocketeer (1991) and the climactic Whistler’s Rescue from Sneakers (1992). But of course, Horner responded enthusiastically whenever the story took flight – literally. The exciting and uplifting finale is not even the score’s greatest asset. That accolade would have to go to Horner’s ability to give the monkeys a voice and an inner life. Not that director Jonathan Kaplan didn’t do his part of the job: as Jeff Bond notes, the monkeys and the actors went through six months of training in order to get used to each other, and the bond they developed really shows. Moreover, Kaplan welcomed the opportunity to make “pure cinema”, as he called it: since monkeys cannot talk, the whole realm of psychology and emotions had to be rendered by visual, not verbal means – and in the end, that’s what the art of cinema is all about. Kaplan used every trick in the book, and most of that book was written in the 1910s and 1920s by Soviet filmmaker Lev Kuleshov (1899-1970). His ideas on montage were a departure from (continuity) editing as invented by early American film pioneers such as Edwin S. Porter (1870-1941) and especially D.W. Griffith (1875-1948). Whereas the early Americans used editing as an “invisible” way to guide the audience seamlessly and logically from point A to point B, Kuleshov surmised the psychological potential of editing: the experiments in the workshops that ended up being named after him, originated from the realization that viewers derive more meaning from the interaction of two sequential shots than from a single shot in isolation. Kuleshov took a shot of the expressionless face of Tsarist matinee idol Ivan Mosjoukine and had it followed or preceded by shots of a plate of soup, a girl in a coffin and a woman on a divan. The audience praised Mosjoukine’s profound acting, believing the actor appeared hungry when he was "looking at" the plate of soup, grieving in a tastefully restrained way as he was “looking at” the girl in the coffin, or subtly yet undeniably aroused when he was “looking at” the woman on the divan. Mosjoukine was not acting, of course, and the effect was all in the viewer’s head. It’s one of Hollywood’s dirty little secrets that some of the greatest acting in the history of cinema is, in fact, created in the editing room. In the case of Project X, Kaplan used human reaction shots to add emotion to expressionless monkey faces. It was all done so well that the chimps all but qualified for the Academy Awards. The other secret force behind the simians’ stellar performance was James Horner’s score. Underscore and montage work in similar ways: both are part of a movie’s non-diegetic framework and both are tools of psychological manipulation. 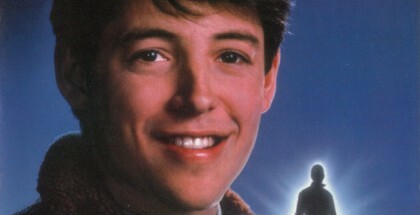 One day, I decided to sync up the Project X CD album with the DVD, I played the score cues even more prominently than on the movie’s composite sound track and tried it out on an audience of high-school children during lunch break. The effect was uncanny: even when not much of anything was happening, all 130 of them watched with endless fascination and in total silence. If you’re a teacher or a parent, you’ll probably realize just how freakishly bizarre that is, yet such is the power of truly great film music. And how did James Horner achieve this? He knew exactly which buttons to hit, bringing into play themes that quite simply click and orchestrations that showcase just the right instruments. The score works with a set of intelligently used and wonderfully expressive building stones. 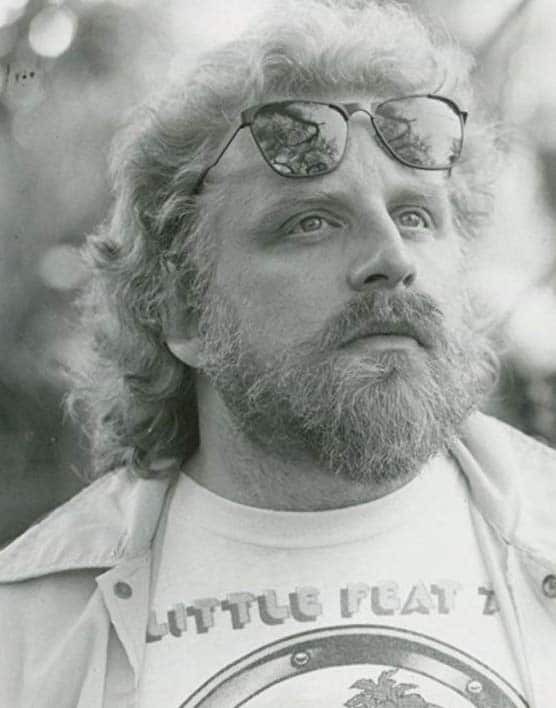 Horner handled the dark side of the story with his regular four-note motif of doom, quotes from Aram Khachaturian’s Gayane ballet and a slithering piano motif. The cheerful side of the story has its own musical identities. Virgil’s theme is wispy and feathery, and the decision to have it performed most characteristically by the ocarina endows the character with an unmistakable innocence. 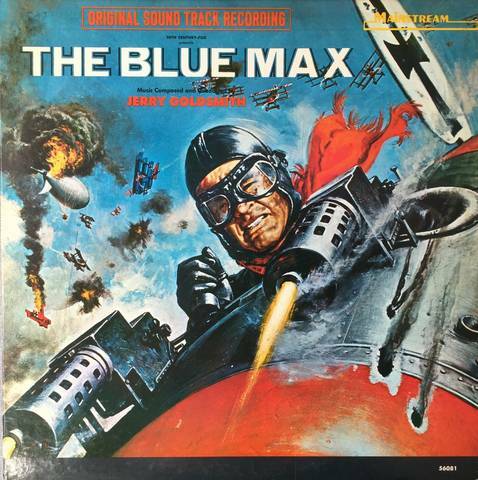 Virgil’s love of flying is conveyed musically by an ascending line that is a close cousin of Jerry Goldsmith’s The Blue Max (1966) – Horner being Horner, the reference was far from coincidental. And that’s not counting the overarching lyrical theme, which Horner uses both for Garret and Teri, Virgil and Ginger, and more generally for all kinds of emotional scenes. The final idea is one that Jeff Bond does not mention in the liner notes. Appearing right at the start of The Plea, the incredibly fragile motif (usually for flutes and oboe) comments on the notions of captivity and death. It returns at 3:10 into Student Pilots (again a scene of captivity), at the start of Ghost Call (after an exposure run has killed Bluebeard) and most prominently in the third act, when Goliath dies and Virgil’s life hangs in the balance. 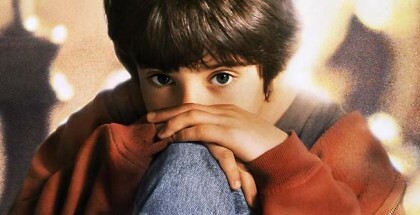 It’s also a theme of compassion, and based on its first occurrence in the score, I will call it the Plea theme. If you want to understand just how much life Horner manages to breathe into the monkeys’ performances, listen to New Friends in the context of the film scene. Horner works with Virgil’s theme and the love / humanity theme. These two ideas on their own generate a lot of sympathy for the simians, but what really makes it all come to life is the gently rocking rhythm that bathes the proceedings in an air of serenity, wide-eyed discovery and wonderment. On top of that, the rhythm creates a certain dynamic that the scene simply did not have – just turn off the music and watch. Now that the theme-and-leitmotif tradition has largely been overtaken by the “atmosphere score”, it’s worth remembering just how much film composers have come to limit their options. Just having and using themes allows filmmakers to spark emotional responses. During Virgil’s exposure run, Horner uses the flying theme but the elation it expresses is subverted by the interrupting four-note motif of doom. 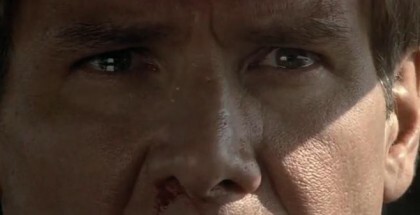 From a dramatic perspective, it does not even matter if any of the themes are carry-overs from previous scores or quotes from the repertoire, this is about eliciting a gut response in a viewer’s mind and heart, and just playing two themes from the dark and light sides of the score at the same time is enough to make an audience feel emotionally invested. 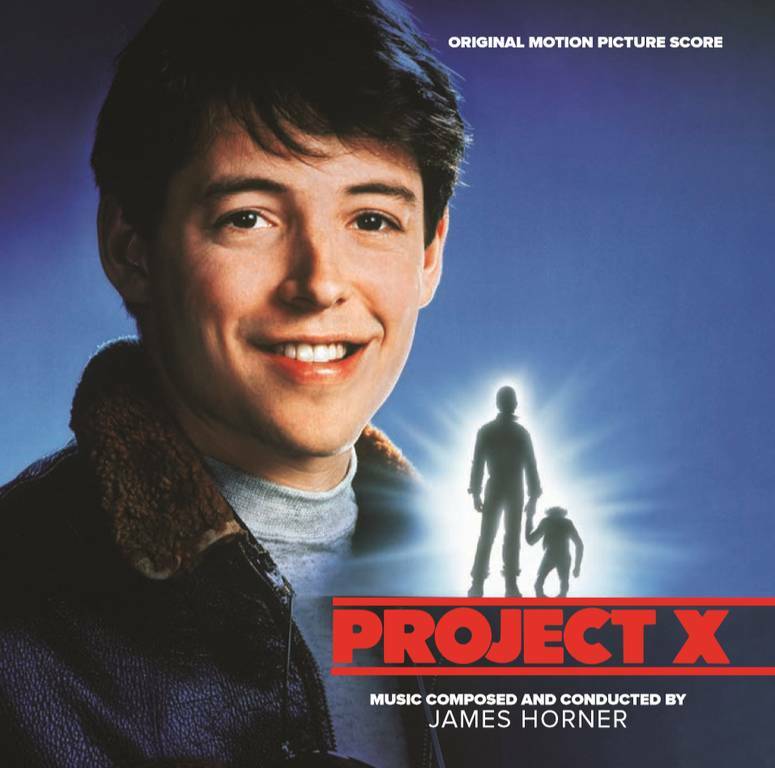 That being said, James Horner composed Project X way back in the eighties and at least for Horner fans, it is fascinating to try and understand where the score fits into the composer’s slowly evolving oeuvre. Most fans stopped minding a long time ago and critics will likely never relent, but James Horner would introduce a certain idea in a score and go on to develop it in subsequent scores, toying around, fine-tuning and generally trying to exploit the idea to its fullest potential. Horner had a certain way of handling action music that started in Wolfen (1981) and extended all the way to Aliens (1986) and beyond. 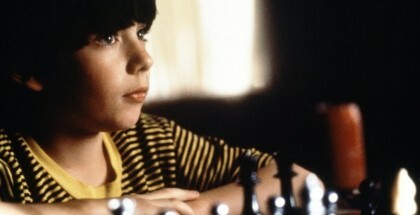 Sneakers (1992) was another seminal score, full of seeds that Horner nourished and developed into the furious action music of such scores as Titanic (1997) and the Al-Bathra cue from Courage Under Fire (1996). So what are the tentacles that reach backwards and forwards from Project X? While the overarching love theme remained unique to Project X, Virgil’s theme would go on to blossom into the lyrical main theme of Mighty Joe Young (1998). 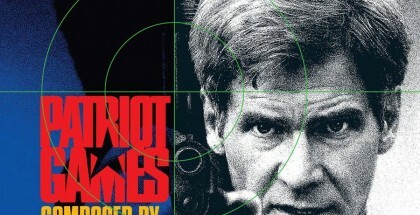 The slithering piano line heard during scenes with the nuclear reactor is a carry-over from Gorky Park and the gritty electronic music from the discarded main title sequence and the many exterior shots of Lockridge air force base can be traced back to Horner’s pop-influenced score for 48 Hrs. (1982). 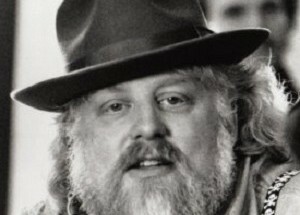 A few months after recording Project X, he would turn it into the frantic and occasionally experimental action music of Red Heat (1988). In a masterful stroke, Horner smuggles these sounds into the otherwise buoyant first part of Student Pilots, and the intention is clear: even though Virgil, Jimmy and the other monkeys are coming into their own, the activities they are engaging in are not playful and innocent. Again, this is a nuance not present in the visuals. Add to this the Gayane idea, which Horner used time and again, either for the eerie emptiness of space (Aliens, perhaps inspired by Stanley Kubrick’s use of the idea in 2001: A Space Odyssey) or the sinister workings of the military-industrial complex (Patriot Games (1992), Clear and Present Danger (1994) and a particularly elaborate treatment in Navajo Dawn from 2002’s Windtalkers). The Project X score opens and closes with “jungle music” that has its roots in Horner’s wonderfully atmospheric score for Where The River Runs Black (1986). Of course, there’s the Shakuhachi, a flute so uniquely expressive that Horner could not stop revisiting it, and the four-note motif of doom, the one thematic element that Horner never stopped nurturing. The funny thing is: once you zoom out and focus on the entirety of James Horner’s musical oeuvre, you realize how consistently and single-mindedly he pursued this line of thinking. It would be a mistake to think that James Horner’s music was stagnant. Rather, this composer evolved in multi-score waves rather than individual assignments. The attempt at originality per se and the need to reinvent oneself every five seconds, two of the fundamental tenets of education, politics, the arts and indeed humanity in the modern age, clearly did not mean all that much to him. Horner’s composing methodology was deliberate, thoughtful and intellectual, and he put it at the service of an emotionalism that was uniquely resonant. And finally, there’s James Horner the dramatist, the artist who probes the protagonist’s soul and reveals or, why not, creates psychological nuances that are nowhere to be found in the visuals. In my opinion, this is the single most fascinating function of film music, because it is the area in which the film composer, working at the crossroads of two different art forms, can create added value of an often surprising nature. 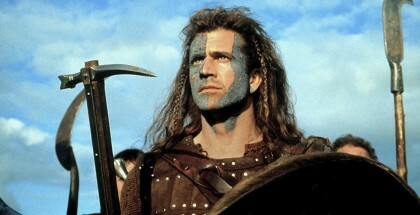 James Horner excelled at this kind of dramatization, and Project X features several outstanding examples. 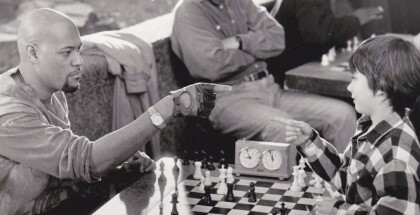 One such moment occurs during the previously unreleased The Phone Call And Top Brass, which is a suite of two cues (0:00–1:05 and 1:06-3:02). The first one starts after Jimmy phones Teri to inform her that Virgil is in a military facility instead of a zoo. We cut to the air force base, where new recruits arrive, both monkey and man. Curtis is a young new guard who is unaware of the secret nuclear research program. Jimmy Garrett, on the other hand, is not so unaware anymore, and as we cut to him watching Curtis arrive, we hear the slithering piano motif. It’s Horner’s subtle way of telling us that Jimmy is now part of the military establishment, and he will have to make some very hard choices if he wants to preserve his integrity and dignity as a human being. A little later, the top brass arrive and Virgil is singled out as a candidate for a lethal exposure run. The piano motif is joined by a percussion ostinato as we cut to the unsuspecting monkey, but the ostinato is actually for Jimmy Garrett. Does it symbolize Garrett’s heart pounding in his chest, or does it perhaps represent the pull of fate? At any rate, Horner soon adds the love theme, which at this point doubles as a theme of humanity: Jimmy is torn between obeying orders (the slithering piano motif) and trying to save the life of an innocent animal (the lyrical theme). The cue ends when Jimmy makes up his mind and says: “No.” Yet instead of letting the poor guy off the hook, Horner simply stops the cue right there. Going into the next cue, The Rescue, there is another wonderful example of Horner revealing the inner life of the story’s animal characters. Virgil knows the red collar stands for a one-way ticket to death and Garrett has just refused to tie it to the monkey’s neck. Horner makes Virgil’s frustration and fear palpable through the Plea theme, which returns later to comment on Goliath’s death during the poignant second half of Chain Reaction – this is an even more successful example of making the monkeys’ performance emotive, because at the moment of death, Horner succeeds in squeezing a whole lot of sadness from decidedly unsophisticated footage of a large chimp that has its back turned to the audience! 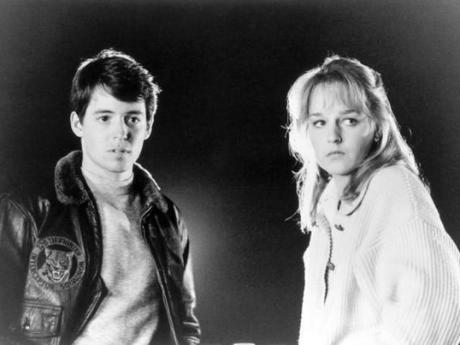 In the end, Project X is a masterpiece because James Horner succeeded in endowing monkeys with a rich inner world of emotions and psychology. At the dramatic level, the score is singularly effective at building up audience involvement. This Horner did perhaps better than anyone else in the business. Without a doubt, it is what made him a top film composer and it kept him right at the forefront of his field for most of his career. Give James Horner’s Project X a try, you’re guaranteed to go ape! Thanks to MV Gerhard, Matt Verboys and Neil S. Bulk. Thank you for this, so informative!! Truly someone who understands Horner, his craft, his music, and his legacy.